From Hitchcock’s ‘Rear Window’ to Polanski’s ‘Chinatown,’ these great films are enduring summer classics. You’re aware of the hot movies hitting theaters this summer, and why wouldn’t you be—what better way to spend the off-season of school than by seeing the newly released films? But what if you took your movies a step further? What about the movies of the summers before your time? I’m not talking about the huge summer movie splashes made by “Jaws,” “Jurassic Park,” “Raiders of the Lost Ark,” “Back to the Future” or “Ghostbusters.” Au contraire. Odds are, you’ve seen those films, or have at least heard of them. And I’m not talking about “summer movies”—you know, the ones directly about some aspect of the summer, such as “National Lampoon’s Vacation” or “Wet Hot American Summer.” No, I’m talking about the underdogs of past summers, the movies that were released and up against the summer blockbusters. There’s nothing wrong with these lesser-known films. In fact, these old films are the ones you should know and see this summer—here are five classic summer films you need to watch. An Alfred Hitchcock classic, and a film everyone should be watching. Recently bound to a wheelchair, photographer L.B. “Jeff” Jefferies (played by Jimmy Stewart) passes his time window-watching his neighbors from his apartment. While keeping up with this neighbors from across the way, Jeff is convinced he’s witnessed a murder and will stop at nothing to prove it. The film also stars a very poignant Grace Kelly, who plays Jeff’s girlfriend, Lisa Fremont. What makes this film so incredible is the cleverness of the supposed murder situation and how it works alongside the characters. The situation of a possible murder is alarming, and Jeff, who is sure he’s witnessed the incident, is unfortunately confined to his wheelchair, leaving him with limited access of what he can do in wake of the event. Viewers watch this thrilling mystery unfold all the while the lead role is barely moving from his spot, and Hitchcock makes the suspense work so perfectly. “Rear Window” definitely had some tough competition throughout the ‘50s to earn a top spot in the best films of the decade. “Ben Hur,” “12 Angry Men,” “A Streetcar Named Desire,” and other films have been put in top spots with “Rear Window” as the greatest films of the 1950s. The film was also shut out by Elia Kazan’s “On the Waterfront” at the 27th Academy Awards. 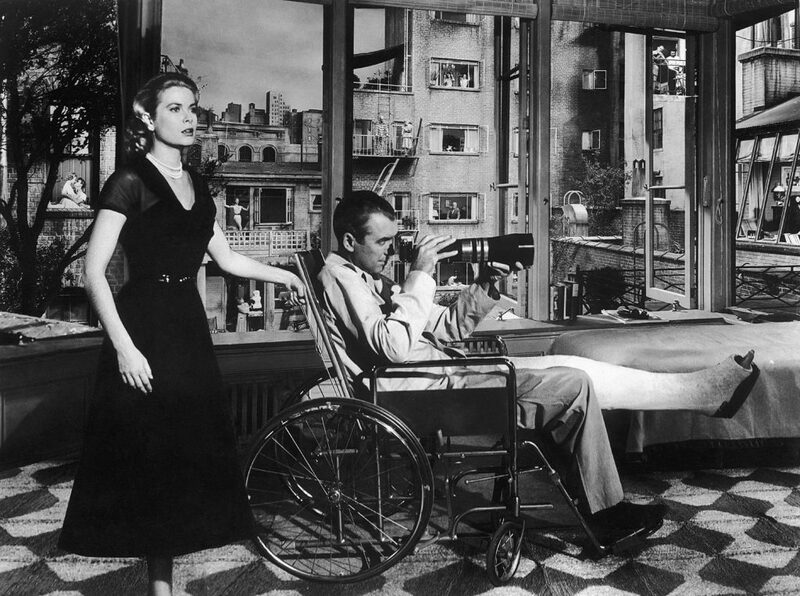 Regardless, “Rear Window” packs a thrilling punch and will keep you thinking and on edge until the end. A work of genius from comedian Jerry Lewis and my top choice, Lewis not only played the lead role, but also wrote and directed this one of a kind film. Set at the Fontainebleau Hotel in Miami Beach, the film follows Stanley (played by Lewis) as he goes about his job as a dedicated but clumsy bellboy, who gets himself into all kinds of trouble. There are several gems in “The Bellboy” that make the film brilliant. Jerry Lewis is widely known for his “idiot voice” he uses in the majority of his past movies. But in this film, Stanley the bellboy doesn’t talk. Instead, viewers get to see the comedy of Jerry Lewis in a new light—no screaming or insane voice, just gestures and movements, and he makes his silent character work so well. There are also other small gems scattered throughout the film—an uncanny appearance from a Stan Laurel look alike, as well as the great Milton Berle playing off of Jerry Lewis, both appearing as themselves at one point. “The Bellboy” is the perfect movie to watch if you need a hot second to relax and have a good laugh. Now here’s a neat one from director Roman Polanski starring a collected but still wildly intense Jack Nicholson. In “Chinatown,” Nicholson stars as private detective Jake Gittes, who has been assigned to expose an affair, but finds out the supposed atrocity goes above and beyond what he thought. The film also stars a beautiful and mysterious Faye Dunaway as Evelyn Mulwray, the wife of the man who is claimed to be having an affair. The movie is very noir, and is often thought of as a typical crime movie, but it’s much more than a sheer crime film. “Chinatown” has got an edge through the fascinating characters, the brilliant dialogue and the wonderfully elegant and suave costumes. The most notable element of this film is Nicholson’s performance. Pre-“The Shining,” Nicholson takes his intensity, craziness and intellect to the next level. Every word leaving his mouth is quick and smart. In many of the films Nicholson has starred in, he plays the role of an outsider and a rebel, and his role “Chinatown” is no different. Detective Jake Gittes has definitely seen it all, but he’s still finding himself in surprising situations. 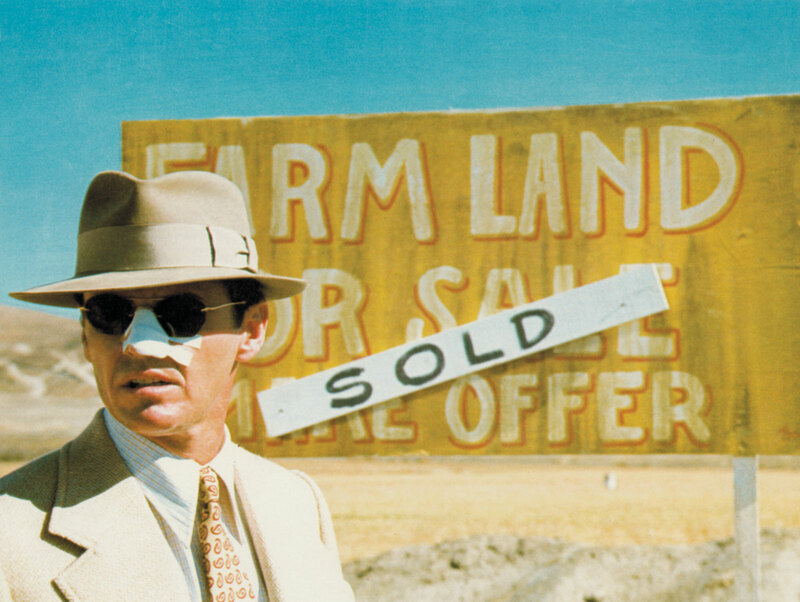 “Chinatown” is full of surprises, from beginning to end. This is the perfect film to watch if you’re looking for some action with a twist. A wonderful piece of art from comedian and director Woody Allen. In this film, Allen takes a different approach to his usual comedic tactics and shapes the comedy into a documentary about a man named Leonard Zelig (played by Allen) who can literally turn into anyone he is around. Literally. When you start watching “Zelig,” you might second guess that it’s a comedy and feel like you’re watching something for a research paper. The film is very 1920s and ‘30s-oriented in its choice of narrative style and black and white aesthetic. Allen makes “Zelig” feel like a true documentary by interviewing people in modern times, who in turn make it seem like Leonard Zelig was indeed a real person from the era. The use of old newspaper headlines when Zelig is discovered by the public as a phenomenon is also an especially nice touch to make the story more believable. The film also includes old recordings of Zelig meeting with Dr. Eudora Fletcher (played by Mia Farrow), a psychiatrist who wants to help Zelig with his seemingly strange disorder. What’s more impressive is the inclusion of the various archival footage of the era, and how Allen edited himself into these historical moments. At one point, you see Allen standing behind the baseball great Babe Ruth, another time he’s standing behind Adolf Hitler. It’s wildly funny, but will leave you astounded at the same time. This bizarrely different movie is the perfect movie to watch this summer with friends and family. What’s a summer movie list without a movie directly dealing with the summer? My dad would have the family watch “Summer Rental” the night before we went on vacation. Carl Reiner’s comedic summer film stars the adorably funny John Candy as Jack Chester, who is taking his family on vacation to Florida. Commence the problems with their rental house, poor decisions, and braggy sailing champions. In the midst of the champions of summer film comedies, such as “National Lampoon’s Vacation” and “Meatballs,” this little underdog of a film fared poorly upon its release 31-years ago, but what better time than now to give it a watch? “Summer Rental” might not be the best, but there are some hilarious moments in it—intended or not (like the moment at the end when Laurie’s, Jack’s youngest daughter’s, voice is clearly dubbed over by a voice that is clearly not hers). Needless to say, the Chester’s family dynamics and teamwork come together nicely at the end of this film, and the Florida beach and boats will make you want to hit up the beach yourself.